We’ve been hearing about Heroes of the Storm for awhile now, and while we’ve been waiting for the software to exit beta, we’ve been playing other games for Windows in order to alleviate some of the anxiety. Finally, Blizzard has released Heroes of the Storm today, marking not only its newest franchise, but also its newest entry in the world of free-to-play. The new massive online battle game features playable characters from Warcraft, Starcraft, and Diablo, including such familiar faces as Thrall, Kerrigan, Diablo, Arthas, Zeratul, and Tyrael. 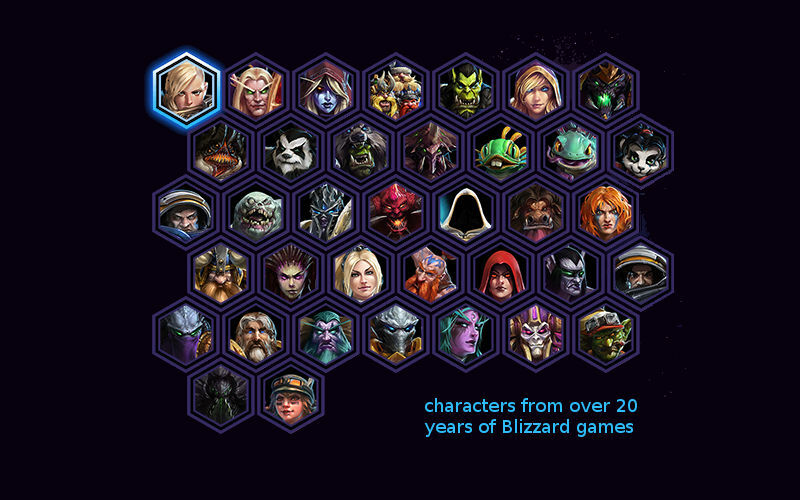 The characters represented in the image below are just a fraction of the available characters. You can certainly start playing immediately for free, but if you want a few extra perks — five characters to play with from the start, exclusive Golden Tiger Mount, and a special character skin — you can opt for the retail disc-based version available at Amazon for $19.99 USD. What do you think of the new Heroes of the Storm game? Will you be picking it up?